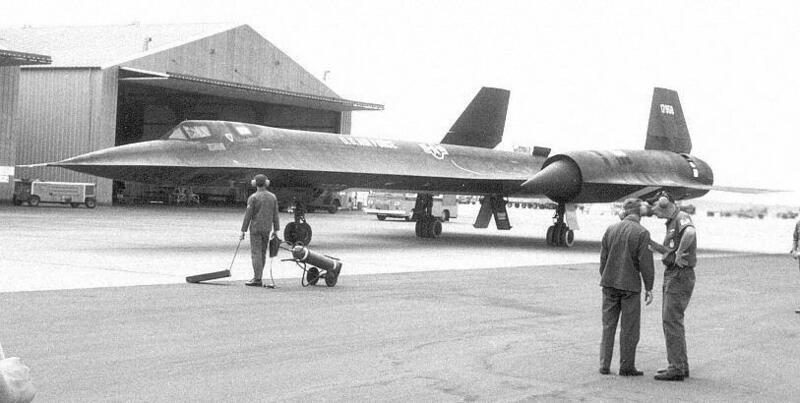 27 July 1976: Major Adolphus H. Bledsoe, Jr., pilot, and Major John T. Fuller, RSO, flew a Lockheed SR-71A, 61-7958, to a Fédération Aéronautique Internationale (FAI) Absolute World Record Speed of 2,092.29 miles per hour (3,367.22 kilometers per hour) over a 1,000 kilometer closed circuit. 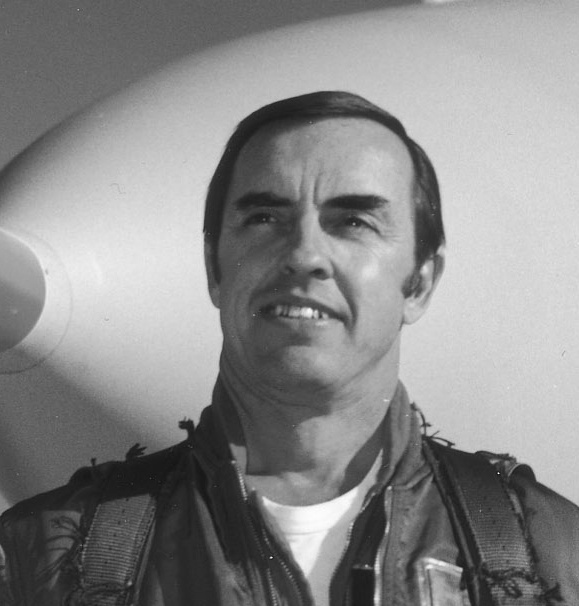 The following day, the same airplane, flown by two different crews, set a World Record for Altitude in Horizontal Flight at 85,068 feet (25,929 meters) and a World Record for Speed Over a Straight 15/25 Kilometer Course, 2,193.17 miles per hour (3,529.56 kilometers per hour). This second speed record became the new Absolute Speed Record, superseding the record set on this date by Alphonsus Bledsoe and John T. Fuller. 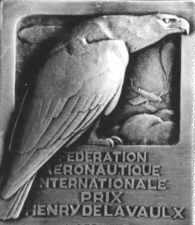 All six airmen were awarded the Henry De La Vaulx Medal by the FAI. Today, 61-7958 is on display at the Museum of Aviation, Warner-Robins, Georgia. 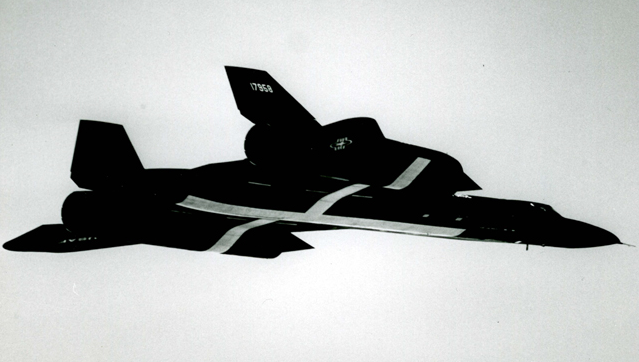 32 of these long range strategic reconnaissance aircraft were built by the Lockheed Skunk Works. 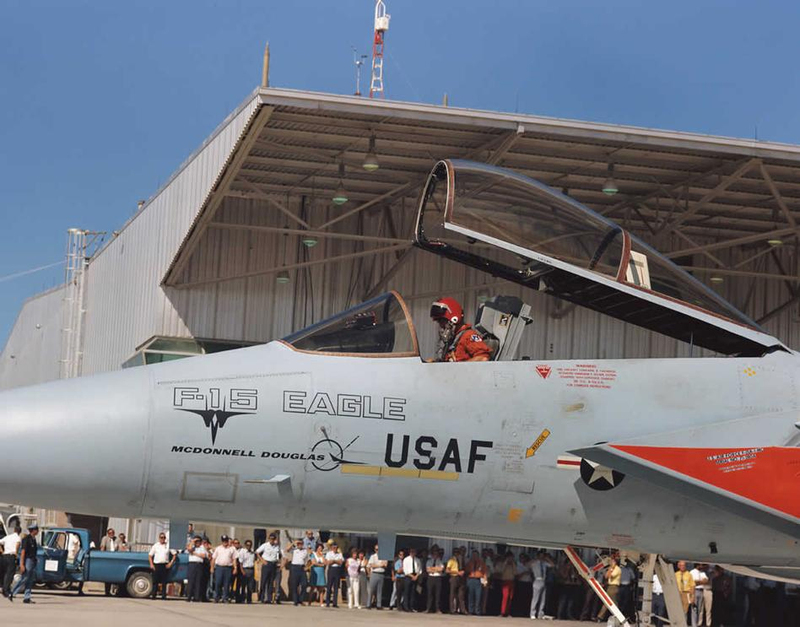 27 July 1972: McDonnell Douglas Chief Experimental Test Pilot Irving L. Burrows made the first flight of the prototype YF-15A-1-MC Eagle, 71-0280, at Edwards Air Force Base, California. The F-15A Eagle is a single-seat, twin-engine air superiority fighter, built by the McDonnell Douglas Corporation at St. Louis, Missouri. The fighter has outstanding acceleration and maneuverability. It is 63 feet, 9 inches (19.431 meters) long, with a wingspan of 42 feet, 9.75 inches (13.049 meters) and overall height of 18 feet, 7.5 inches (5.677 meters). The wings’ leading edges are swept to 45°. The angle of incidence is 0°. The wings have 1° anhedral. The total wing area is 608 square feet (56.5 square meters). The F-15A has an empty weight of 25,780 pounds (11,694 kilograms), and maximum takeoff weight of 44,497 pounds (20,184 kilograms). 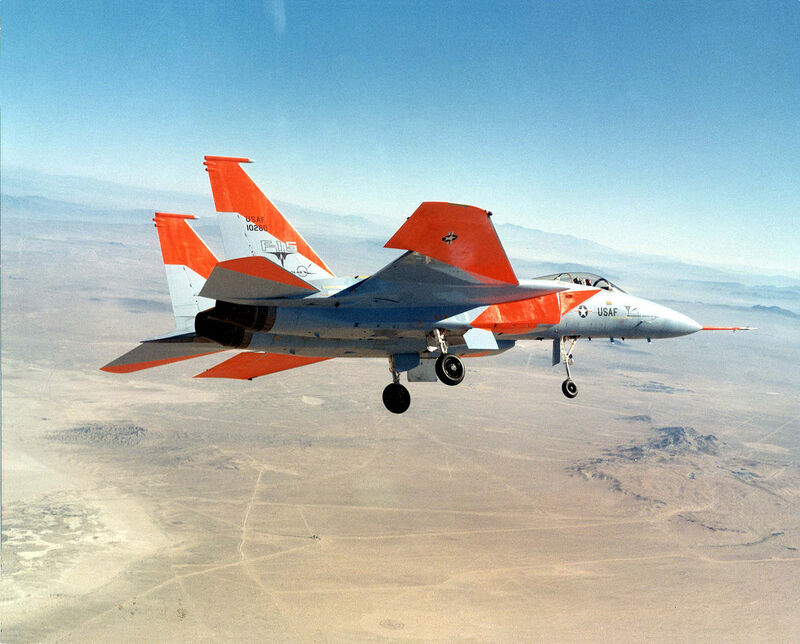 The fighter was powered by two Pratt & Whitney JTF22A-25A (F100-PW-100) turbofan engines. The F100 is a two-spool, axial-flow afterburning turbine engine with a 3-stage fan section; 10-stage compressor; single chamber combustion section; and 4-stage turbine (2 low- and 2 high-pressure stages). The F100-PW-100 has a maximum continuous power rating of 12,410 pounds of thrust (55.20 kilonewtons) and intermediate rating of 14,690 pounds (65.34 kilonewtons), (30 minute limit). Its maximum power rating is 23,840 pounds (106.05 kilonewtons) with afterburner (5 minute limit). The F100-PW-100 is 16 feet, 4.3 inches (4.986 meters) long, 3 feet, 10.5 inches (1.181 meters) in diameter, and weighs 3,179 pounds (1,442 kilograms). The Eagle is a Mach 2.5+ fighter. The cruise speed of the F-15A Eagle is 502 knots (578 miles per hour/930 kilometers per hour). It has a maximum speed of 1,434 knots (1,650 miles per hour/2,656 kilometers per hour) at 45,000 feet (13,716 meters)—Mach 2.503. The service ceiling is 63,050 feet (19,218 meters). It can climb 67,250 feet per minute (342 meters per second), and with a thrust-to-weight ratio of 1.15:1, the fighter could climb straight up. The The F-15A’s combat radius is 638 nautical miles (734 statute miles/1,182 kilometers). Its maximum ferry range is 2,362 nautical miles (2,718 statute miles/4,374 kilometers). 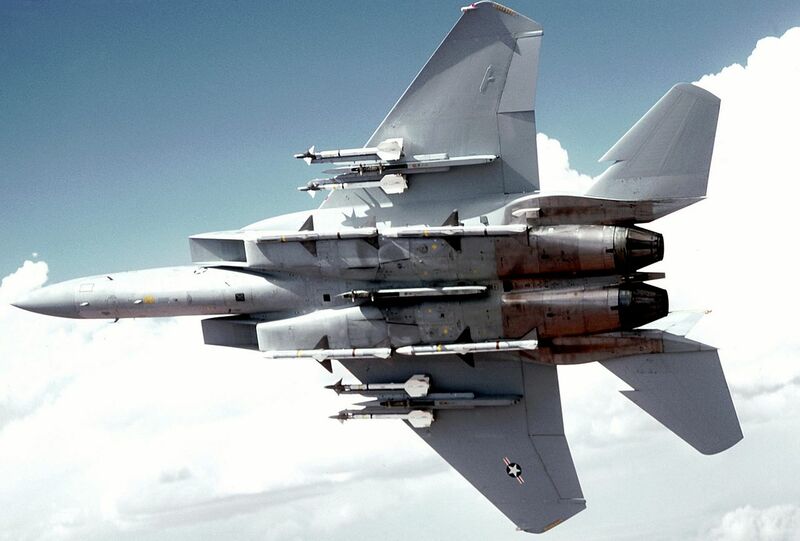 The F-15A is armed with one General Electric M61A1 Vulcan 20mm rotary cannon with 938 rounds of ammunition, four AIM-7F Sparrow radar-guided missiles and four AIM-9E/L Sidewinder infrared-homing missiles. The fighter could also carry a variety of bombs. 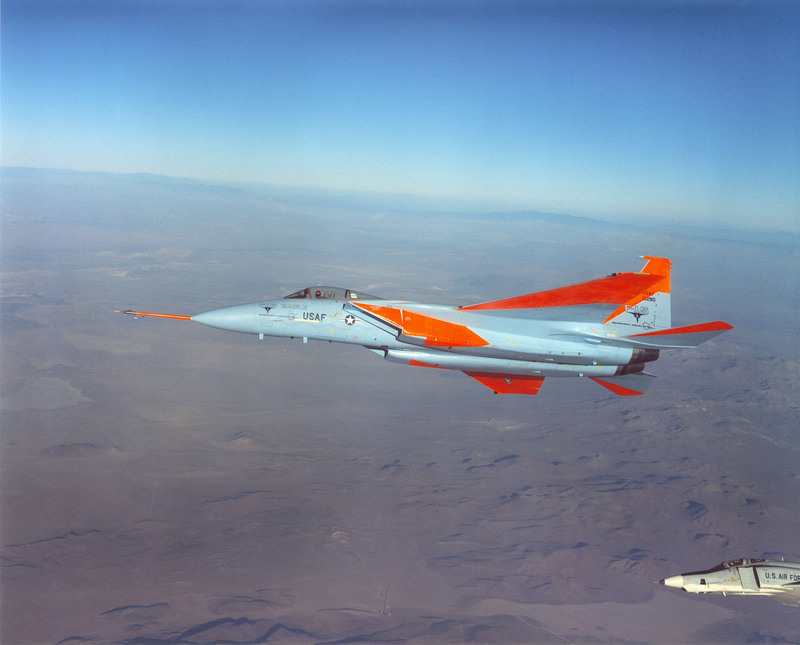 There were 12 pre-production F-15 aircraft, serial numbers 71-0280–71-0291. 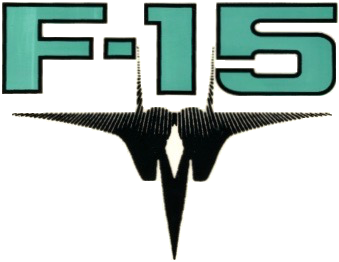 384 F-15A fighters were built from 1972 to 1979, before production switched to the improved F-15C. 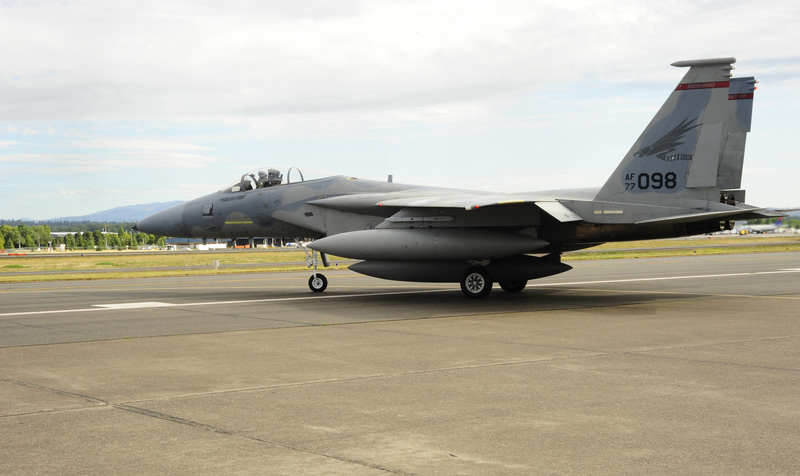 The last F-15A Eagle in U.S. Air Force service, F-15A-19-MC 77-0098, was retired from the Oregon Air National Guard, 16 September 2009. 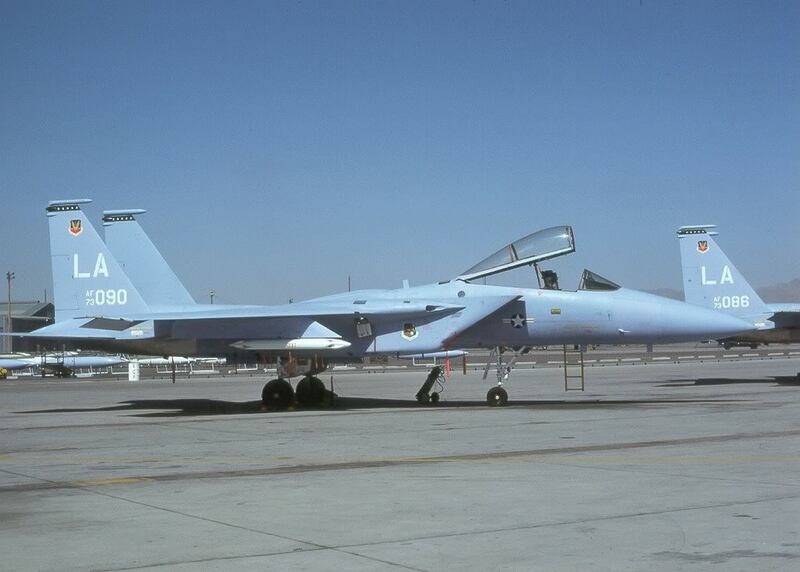 The first YF-15A, 71-0280, is on display at Lackland Air Force Base, Texas. Second Lieutenant Ruth Mable Gardiner, Nurse Corps, United States Army, was born in Calgary, Alberta, Dominion of Canada, 20 May 1914. She and several family members attempted to emigrate to the United States of America. They arrived at Eastport, Idaho, on 15 March 1917, but were debarred and ordered excluded. An application for entry on bond was approved and Ruth was allowed into the United States at Noyes, Minnesota, 11 July 1917. Just 3 years, 8 months old, Ruth was unaccompanied. Her nearest relatives were listed as an uncle, Hilliard Gardiner, in Sutherland, Saskatchewan, and another uncle, John Flaherty, in Oakland, California. Ruth was described as being of Irish ancestry, with a fair complexion, blond hair and blue eyes. Her passage to America had been paid by an employee of the Calgary Street Railway Company. Miss Gardiner lived Indianapolis, Indiana, with an older sister, Constance, a stenographer, and her husband, Clarence Smith, a salesman. She attended Sacred Heart High School in Indianapolis. After graduating, Miss Gardiner entered the Training School for Nurses at the White Haven Sanitorium, White Haven, Pennsylvania. She graduated in 1934. Miss Gardiner later worked at St. Agnes Hospital, White Plains, New York; St. Elizabeth Hospital, Utica, New York; and the Indiana University Medical Center, at Indianapolis. In January 1942, Miss Gardiner joined the United States Army. 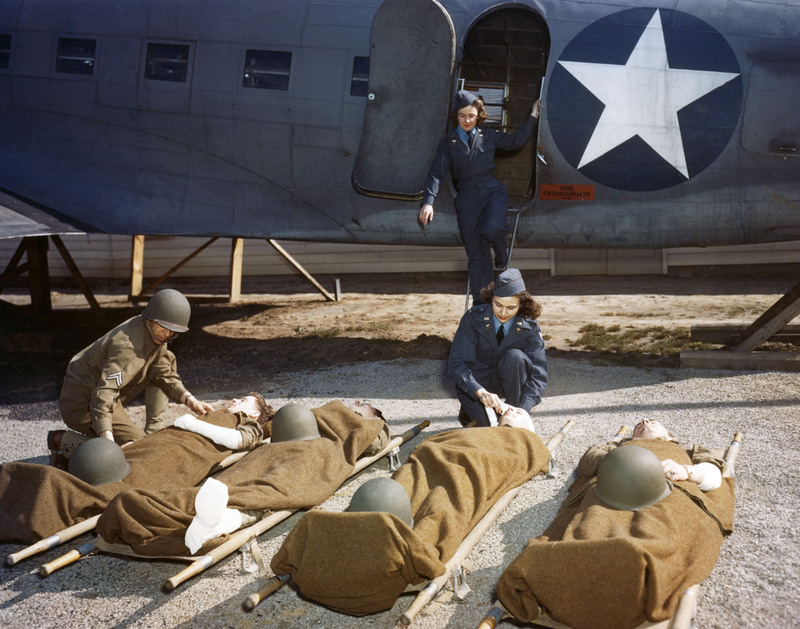 She was a member of the first training class for air evacuation nurses at the 349th Air Evacuation Group, Bowman Field, Kentucky,. The class of 30 graduated 18 February 1943. 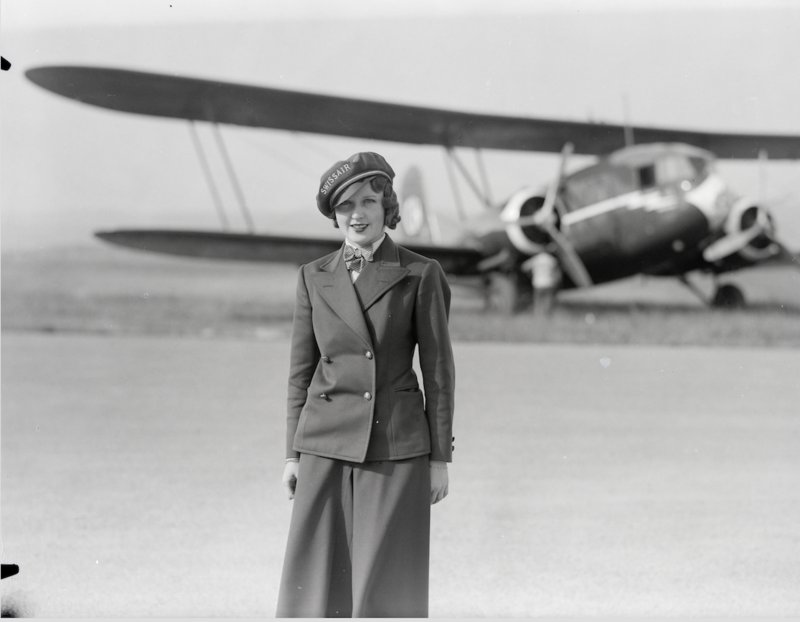 Lieutenant Gardiner was then assigned to the 805th Medical Air Evacuation Squadron, where she was one of only six Army nurses involved in the air evacuation of wounded soldiers from the Aleutian Islands. “On 27 July 1943, Ship No. 41-38643 failed to clear the top of a ridge on the approach leg, coming in to Naknek in soupy weather. 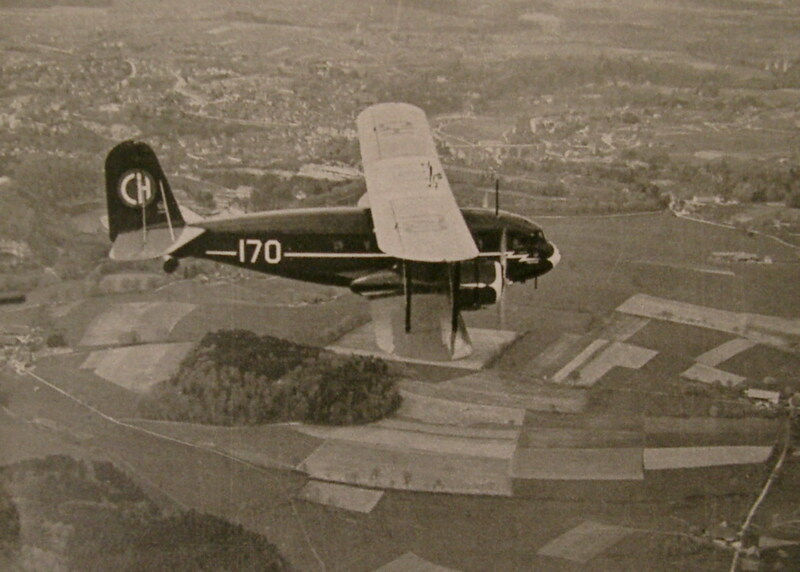 The C-47 was destroyed and all 11 persons on board were killed. 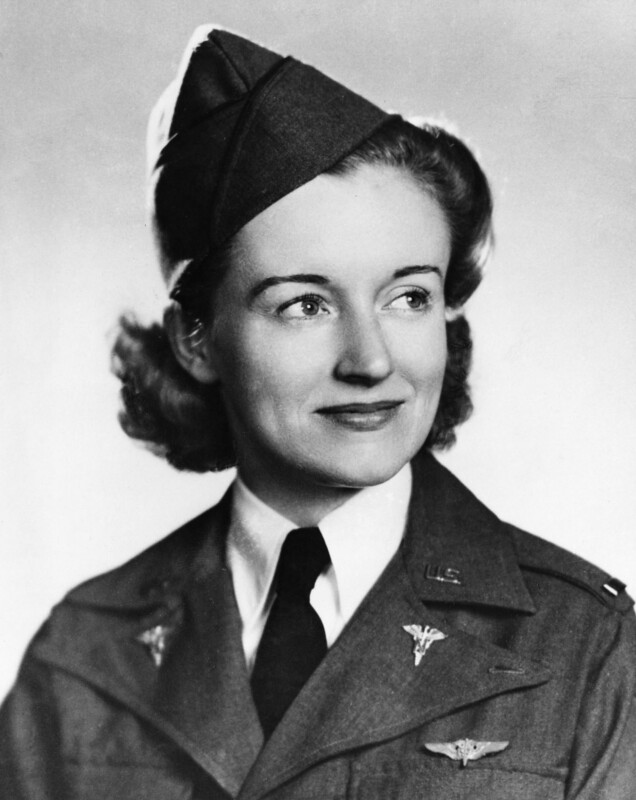 Second Lieutenant Ruth M. Gardiner, Nurse Corps, United States Army, was the first American nurse to die in the line of duty during World War II. Lieutenant Gardiner’s remains were buried at the Fort Richardson Post Cemetery, Anchorage, Alaska. They were re-interred at the Arlington National Cemetery, Arlington, Virginia, 28 October 1948. 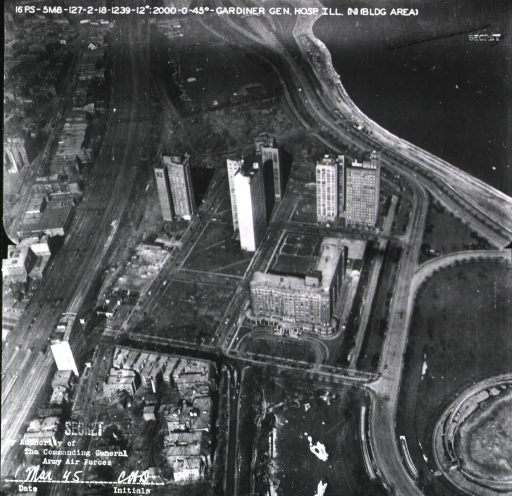 The 12-story Chicago Beach Hotel at 1660 E. Hyde Park Boulevard, Chicago, Illinois, was taken over by the U.S. Army and converted to a 1,061-bed hospital. Opening for patients 1 October 1943, the military hospital was named Gardiner General Hospital, in honor of Lieutenant Gardiner. Gardiner General Hospital discharged its last patient 21 June 1946, and the building was reassigned as Headquarters, Fifth Army. In 1948, the nurses quarters at White Haven Sanitorium, formerly known as “the lodge,” were named the Ruth M. Gardiner Pavilion. In 1963, the nurses quarters at Fort Wainwright, Alaska, were named Gardiner Hall. 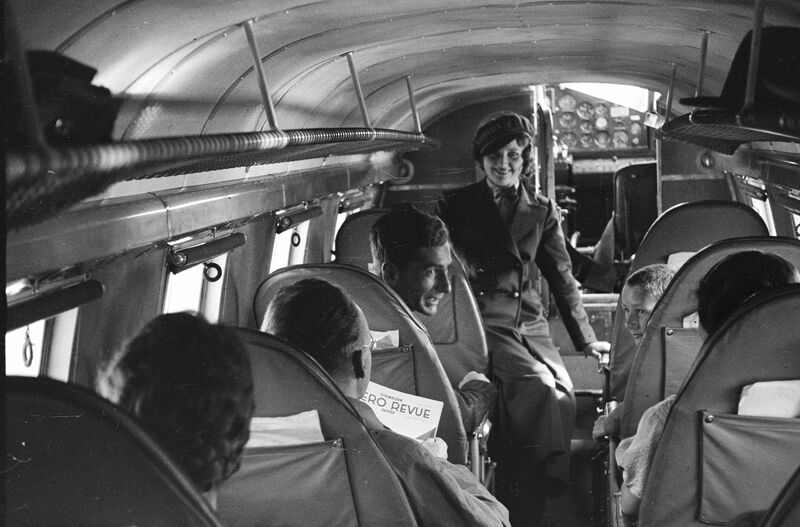 In 1943, the Women’s International Bowling Congress’ Wings of Mercy Fund donated a Douglas C-47 Skytrain air ambulance to the Army Air Forces in memory of Ruth M. Gardiner. I will summon every resource to prevent the triumph of death over life. I will stand guard over the medicines and equipment entrusted to my care and ensure their proper use. I will be untiring in the performances of my duties and I will remember that, upon my disposition and spirit, will in large measure depend the morale of my patients. I will be faithful to my training and to the wisdom handed down to me by those who have gone before me. It is now my privilege to lift this lamp of hope and faith and courage in my profession to heights not known by her in her time. Together with the help of flight surgeons and surgical technicians, I can set the very skies ablaze with life and promise for the sick, injured, and wounded who are my sacred charges.
. . . This I will do. I will not falter in war or in peace. 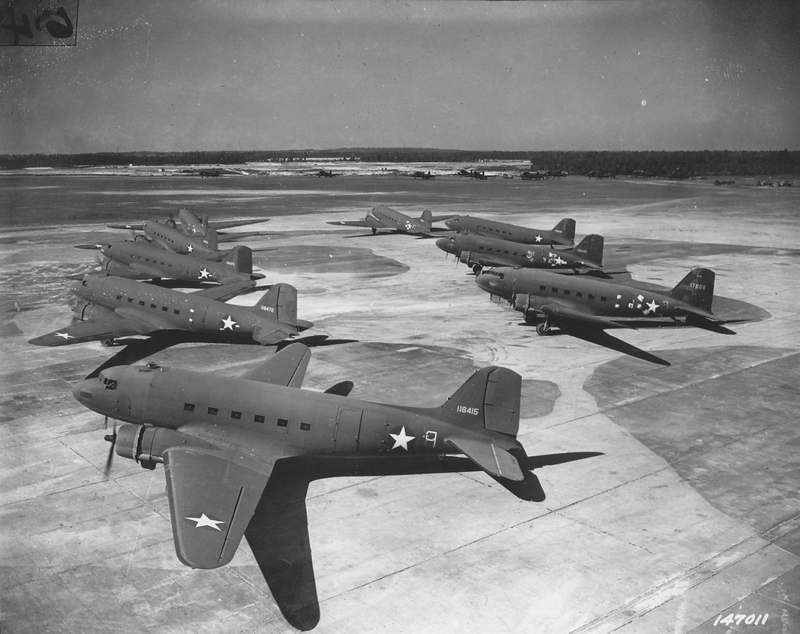 The airplane in which Lieutenant Gardiner and the others were killed was a Douglas C-47-DL Skytrain, U.S.A.A.F. 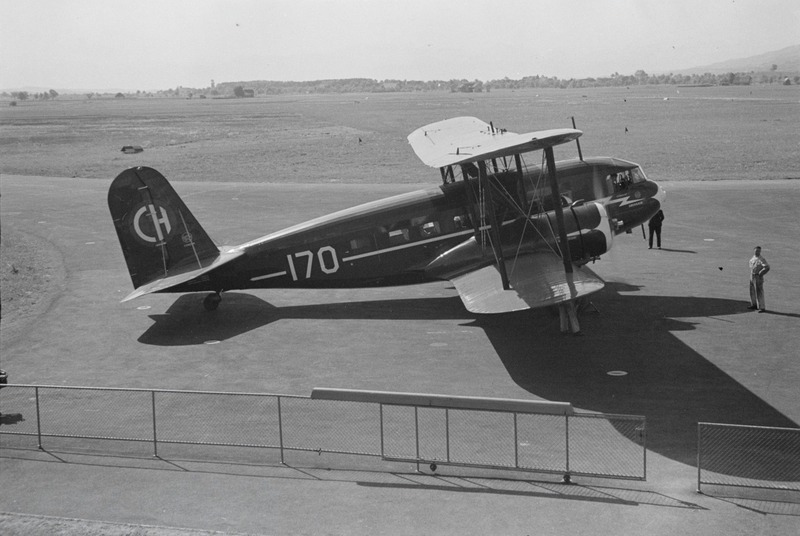 serial number 41-38643 (c/n 4746). 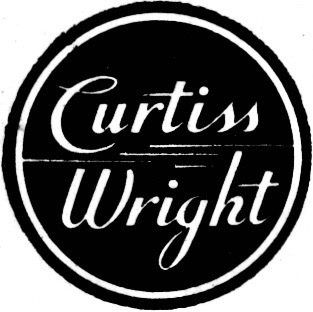 It was built at the Douglas Aircraft Company plant in Long Beach, California, and delivered to the U.S. Army Air Forces on 27 September 1942. 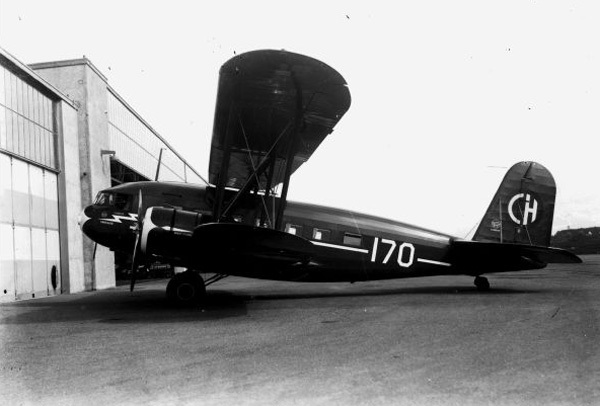 The Skytrain was assigned to 54th Troop Carrier Squadron, Eleventh Air Force, in Alaska, 29 March 1943.